Have you heard about this whole Berenstein/Berenstain Bears controversy? Earlier this week, a coworker asked if I was familiar with the popular series of children’s books that features a family of bears. Yes, I told her. Of course. I grew up with the books, and read them to my kids when they were young, as well. “Do you remember how they spelled their name?” she said next. Duh. I spelled it out for her. Someone traveled back in time and inadvertently altered the timeline of human history so that the Berenstein Bears somehow became the Berenstain Bears. According to this article, at least. The writer explains further that the reason we all remember them as the Berenstein Bears is because when we were all children they were the Berenstein Bears, until somebody disrupted the whole space/time continuum. I know what you’re thinking. Total crackpot, right? But this mass delusion is so…umm, mass…that others began to weigh in. Like the Australian blogger who posits that we are all living in our own parallel universes. There’s even a name for this delusion: the Mandela Effect. (It gets deep, people. Now I know how Alice in Wonderland felt). This is based on an uncanny number of people who “remember” Nelson Mandela dying in prison in the 1980s when, in reality, he passed away at his home in Johannesburg in 2013. At least that’s the case in this reality. Our reality. Here’s a fascinating list of common examples of the Mandela Effect. I have to say, I agree with a bunch of these! When did violet switch from red to blue?! Or maybe we’re just drunk. (With the exception of my daughter, of course). On this particular night, we had just watched The Butterfly Effect, a film that absolutely floored Audrey. She was unfamiliar with the principle of chaos theory, the idea that small, seemingly random events can lead to large, unforeseen consequences over time. The most famous example, and the basis for the title of a crappy (yet oddly entertaining) Ashton Kutcher movie, is the butterfly that flaps its wings, a simple action that leads to a hurricane thousands of miles away three weeks later. 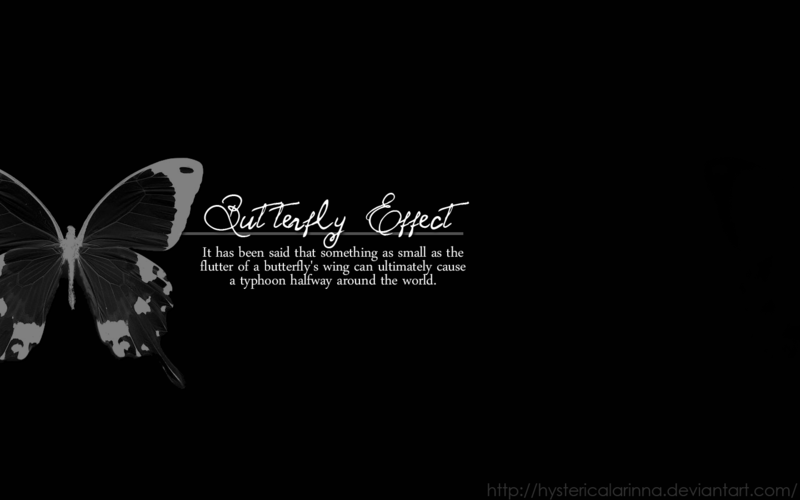 The butterfly does not actually cause the hurricane; instead, its wings might stir up the atmosphere, creating tiny changes that evolve into large-scale events. Like the ripple effect when you toss a stone into a lake, or falling dominoes. This led to quite the spirited discussion, one that touched on many interesting philosophical concepts. Parallel universes was one of them. “One day I turned onto Elm Street instead of Maple,” I explained by way of example. “In that universe, I’m still married to your mother.” Wisely, I left out the second half of that sentence (“…and praying for the sweet release of death”). Impressionable young minds and all. And then, because I’d really gotten my engine revving (and was on my third vodka and soda), I launched into a discussion on the theory of the multiverse. That is, the idea that an infinite set of universes exists, each one evolving from the everyday actions we take. In some, we are happy and successful and the Broncos are celebrating their 14th consecutive Super Bowl victory. In others, we’re destitute or dead and Ashton Kutcher is President. Lest you think only crazy people buy into this stuff, proponents of the multiverse include Stephen Hawking and Neil deGrasse Tyson, among others. Hardly slouches. Do I believe in all this, though? I’m not quite ready to go “all in,” but I don’t outright disbelieve it, either. I’ve always been very open-minded, and that holds true for all this philosophical fringe science, as well. The world is a big, mysterious place, and it’d be foolish to believe we have all the answers. The only thing I know with absolute certainty is that I can be absolutely certain of nothing. I think I need to go dig out some of the books my kids had when they were little. 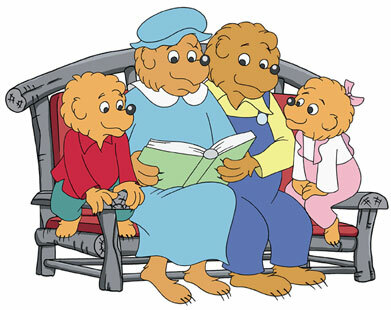 I know we read quite a few BerenstEin Bears ones. Next think you’re going to try and tell us is that’s it Dr. Seoss and not Dr. Seuss, right? Funny, I was thinking the same thing! Are we sure it wasn’t “The Rat in the Hat”?! David Mitchell’s novel Cloud Atlas weaves this thread very well. Ooh! Ooh! I’m going to have to check it out. This whole topic fascinates me. Thanks for the head’s up. I thought it was ‘stein’ as well. Perhaps that just is because I wasn’t the greatest speller back then. Did you watch the director’s cut ending on the Butterfly effect? I know we debated over which version to watch (our DVD has both). I think it was the Director’s Cut. When in doubt, I usually choose that one. Can’t swear to that, though. I thought the director’s ending made that movie. I had to look this up. Whoa. We definitely saw the theatrical version – the director’s cut is really twisted. What a fascinating topic, Mark! There are times where I SWEAR I KNEW something, and will later turn out to be wrong. I guess that’s why thousands of books are written about the unreliability of eyewitnesses! For instance, I could swear I read a book or watched a TV show (I don’t do movies) about the butterfly effect, but it was about someone killing a butterfly, which set off worldwide disasters??? WTH am I remembering? …but did your last name used to end with STAIN? There may very well be a book or show revolving around that particular plot. It certainly sounds intriguing, and would be right up my alley, too. Let me know if you remember the name! I have been OBSESSED with this for about a week now. I am totally blown away. I remember -stEin. I also remember, VIVIDLY, I might add, Jiffy Peanut Butter. And Mongolia was just a region in China for as long as I can remember. Now it is a country. I even went as far as going to my psychologist to make sure I hadn’t lost my mind. I remember Mongolia being a region in China, too. With the way borders are constantly being redrawn, I guess it’s possible that it became a country not too long ago. Or – you know, change in the timeline! Glad you enjoyed this. I find the whole topic fascinating, too. …thanks for songbombing me with Sting! I agree on both counts: stupid and wrong. There is a conspiracy here, and we must get to the bottom of it! Deja vu is another topic I could go on and on about.